Learning to operate unmanned aircraft systems is a great way to explore the wonders of flight. Innovative CIOs challenge themselves personally so they can grow professionally. Stepping out of your comfort zone is where the essence of life occurs. Have you thought about what it would be like to fly drones? Ever considered starting a commercial business running drones? The best things in life start with a dream, a mere belief of what could be. Let’s step into the world of drones and chart your course to drone certification. Before you read how to become a drone operator, I wanted to share my aviation journey briefly and explain why I’m qualified to help you on yours. I earned a pilot's license many years ago in Schenectady, N.Y., and hold FAA commercial pilot certificates for single-engines, multi-engines, seaplanes and a handful of others. Recently, in December, I added the “Remote Pilot” certificate, and it’s definitely one of the most fun certificates to use. There isn’t much I love more than flying. It’s an experience like none other — an experience you want to share. In this post, I’ll share my tips on how to be fluent in the language of flight and I'll offer a checklist for earning your “Remote Pilot Small Unmanned Aircraft Systems” certificate. One of the easiest ways to tell that someone isn’t familiar with a particular field, whether it's finance, healthcare, energy or aviation, is that the language they use is technically incorrect. Aviation is an industry drenched in jargon, with abbreviations for just about everything. These abbreviations are fun when you know them and frustrating when you don’t. The first step to becoming a pilot is talking like a pilot. sUAS: small unmanned aircraft system — of less than 0.55 lbs. to 55 lbs. UAV: unmanned aerial vehicle, an aircraft with no pilot on board. Drone: an autonomously or remotely controlled aircraft. Multicopter: generic name for a drone with more than two rotors. Quadcopter: name for a drone with four rotors. Yaw: movement around the vertical axis (nose left or right). Pitch: movement around the lateral axis (nose up and down). Roll: movement around the longitudinal axis (nose rolls left or right). AGL: altitude above the ground level. Gimbal: supports rotation around one or more of the axis, often used to attach HD cameras. Payload: amount of additional weight a drone can lift. Pre-Flight: activities conducted by pilot and crew to prepare for flight to adhere to safety and regulation standards. License: This term is not used in aviation. Certificate: This term is used in aviation. The FAA doesn’t issue licenses but rather certifications (think of it as permission to operate). FAR: Federal Aviation Regulations; FAA rules that govern aviation activities in the United States. Public aircraft flying with a Certificate of Waiver or Authorization (COA). A civil aircraft, flown under an exception (Section 333). Recreational or hobby use (Part 101). For our purposes, we’ll focus on FAA Part 101 (hobby) and FAA Part 107 (commercial). There are five general requirements for Part 101. First, the aircraft must be flown for hobby (noncommercial) purposes. Second, the aircraft must be operated within community-based safety guidelines. Third, the aircraft must not weigh more than 55 lbs. Fourth, the operated aircraft can’t interfere with, and must give way to, any manned aircraft. And fifth, prior notice must be provided to the FAA when the craft will be flown within five miles of an airport. The benefit of Part 101 is that drone operators who aren't flying for commercial purposes can register their drones and be flying within a matter of minutes. This includes drones that weigh between 0.55 lbs. and 55 lbs. Drones that weigh less than 0.55 lbs. currently do not require registration. However, as technological capabilities improve, and the range and speed of drones increase, I imagine these drones will soon require registration. Also, if your objective is to start a new hobby flying a swarm of drones, you thankfully don’t need to register each drone. The registration number you’ll receive after registration can be used for each drone you own or operate. You might think this is perfectly straightforward. You’re right. However, if you want to take a picture of your neighbor’s pool and charge them $25 for that amazing video, it’s illegal under Part 101, because that activity is considered a commercial use. To do that, you’ll need to operate under Part 107. Until July 21, 2016, the only “reasonable” (and it wasn’t very reasonable) option to fly a drone commercially was to fly it under a Section 333 waiver. This process was and continues to be extremely intensive and requires a certified and registered aircraft, a licensed pilot and operational approval. Essentially, it’s a very similar to the process a flight school undergoes when adding their first aircraft. Despite the significant challenges, some organizations have received Section 333 approvals. The FAA recognized the obstacle for drone operations and responded by creating Part 107, a less intensive way to certify remote pilots for sUAS operations. FAA Part 107 was designed for commercial operations. If you’re flying a drone in your five-acre backyard, a limited understanding of drone operations will likely suit you well. However, when you transition to commercial operations, you have a new responsibility to understand the regulations and to continually build your knowledge of aviation and safe flight operations. Age: You must be at least 16 years old. Test: You must pass the initial aeronautical knowledge exam at an FAA-approved knowledge testing center. Form: You must complete FAA Form 8710-13 for a remote pilot's certificate. Security: You must pass a TSA security screening. Assuming you’re well beyond the 16-year mark, let's direct our attention to the aeronautical knowledge exam. In preparation for the test, there are six documents you should study: Airmen Certification Standards (33 pages), Knowledge Test instructions (10 pages), Knowledge Test Study Guide (87 pages), Knowledge Test Sample Questions (seven pages) , Part 107 Advisory Circular (53 pages) and the Pilot’s Handbook of Aeronautical Knowledge (524 pages). That looks like a lot of information to study. The good news is the knowledge areas for a remote pilot are not the same as those for a pilot flying a manned aircraft. The result is a much narrower pool of test questions, so the test is easier to pass. Regulations: applicable regulations relating to small unmanned aircraft system rating privileges, limitations, and flight operation. Types of airspace: airspace classification and operating requirements, and flight restrictions affecting small unmanned aircraft operation. Weather: aviation weather sources and effects of weather on small unmanned aircraft performance. Weight and loading: small unmanned aircraft loading and performance. Human error: crew resource management. Performance: determining the performance of small unmanned aircraft. Impact of substances: physiological effects of drugs and alcohol. Judgment: aeronautical decision-making and judgment. Operating around airports: airport operations. Drone inspection: maintenance and preflight inspection procedures. Once you pass the FAA aeronautical knowledge test, it’s time to fill out your application (FAA Form 8710-13). This form is available online using the FAA IACRA system. After you log in, start a new application and simply follow the prompts. Eventually, you’ll electronically sign and submit the application to the registry for processing. You'll receive a confirmation after the TSA security background is cleared. By this point, you’ll be able to log back into the system and print the temporary remote pilot certificate from IACRA. A permanent pilot's certificate (card) will be sent to you shortly after the TSA background is completed. When should your drone be registered? The drone is over 0.55 lbs. (250 grams). The drone is 55 lbs. (25 kg) or less. The drone will be flown within the United States. When should you fly under Part 101? The drone be flown for recreational (non-compensated) use only. At no time will the drone be flown at night or above 400 feet AGL. The drone will be flown in compliance with community-based standards. When should you fly under Part 107? The pilot operating the small UAS holds a remote pilot's certificate from the FAA. The drone weight does not exceed 55 lbs. (25kg). Drone speeds will not exceed 100 mph (87 knots). At no time will the drone be flown above 400 AGL. 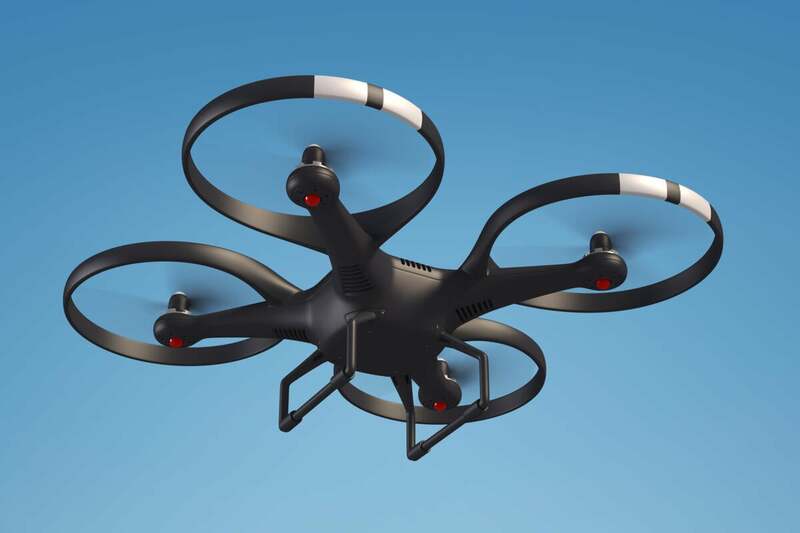 The drone will only operate in uncontrolled airspace (Class G). The drone will be not be flown at night and flown only during the daytime (within 30 minutes of sunrise and sunset). Comfort in routines leads to complacency. Take time to enjoy life, and push normal off the table. Innovative leaders challenge themselves personally, leading to inspiration professionally.